Hyundai has used the phrase "all-new" around 20 times in its Press Release....! 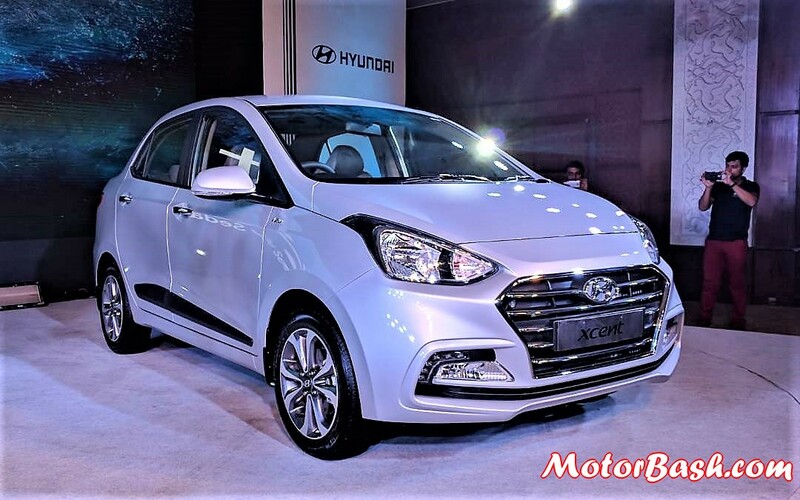 At an event in Delhi, Hyundai has officially launched the 2017 Xcent facelift in India. 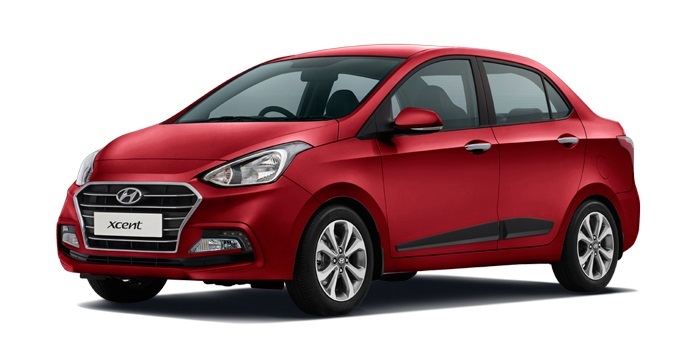 The car gains a new Grand i10 like face but clearly the instructions to the design engineers were for the rear. Interestingly, now the new rear looks slightly overdone! Since its introduction in 2014, Xcent has sold more than 2.5 lakh units so far worldwide. It gets cascade design grille with horizontal chrome slats. The new rear gets two-piece wraparound tail lamps. 7.0 in touchscreen infotainment system with smartphone connectivity – apple carplay, android auto and mirror link. Smartphone holder with charging point. Petrol – The 1.2 Liter Kappa dual VTVT motor continues and produces 83 PS of peak power at 6000 rpm and 11.6 Kgm of torque at 4000 rpm. It is mated to a manual gearbox and Hyundai is also offering an automatic tyranny on this one. 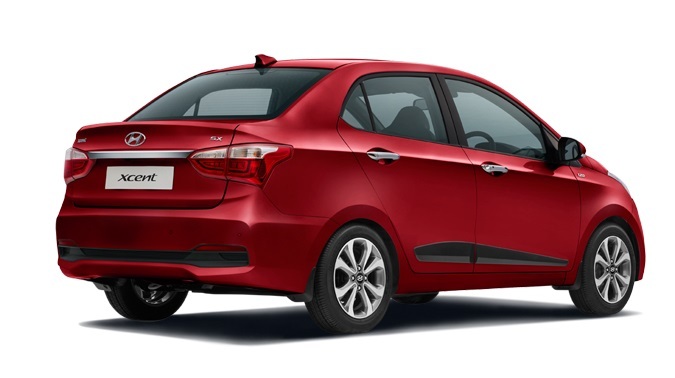 Diesel – Like the Grand i10, new Xcent comes with bigger 1.2 Liter diesel motor capable of churning out 75 PS of peak power at 4000 rpm and 1.3L Multijet-rivalling 19.4 Nm of torque between 1750-2250 rpm. It is only offered with a manual gearbox. 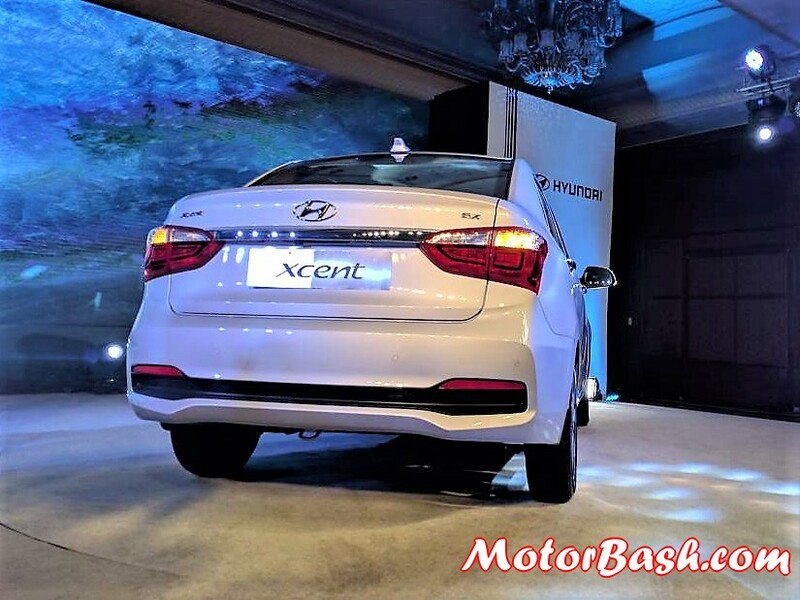 Hyundai is offering 2 years warranty on Xcent and there is no mileage boundation. They also promise lowest cost of maintenance in the segment.